Produced in pressed glass. Based on designs by A.D Copier, De Bazel and H.P Berlage in an edition of 1000. After the success of his “Royal Rip-Offs”, Bas van Beek was commissioned to design the Museum Year Object in 2010 for the National Glass Museum. 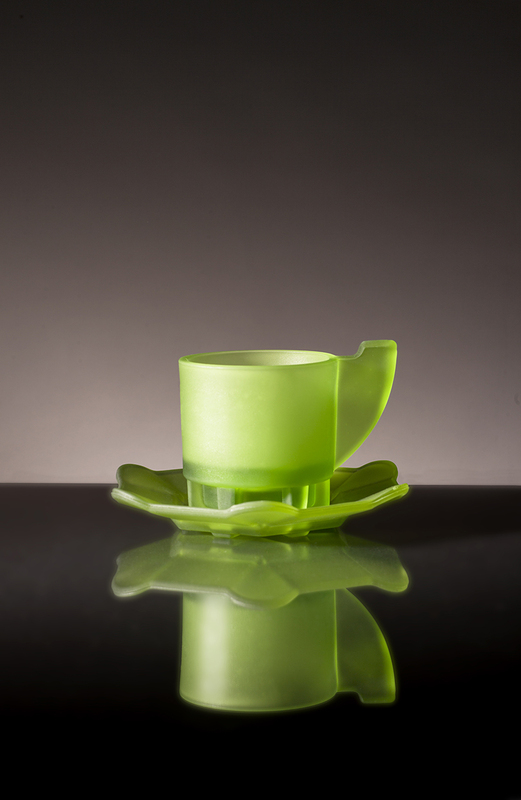 Holland stopped producing pressed glass 35 years ago although a workshop in Leerdam will still make moulds on request. When Van Beek sent them his design ideas they came back with an estimate of 10 000 euros to produce a mould. The glass museum couldn’t put up that sort of money so instead Van Beek turned to the Internet and via Alibaba discovered a factory in China that could make him his moulds for two thousand US dollars. Not that communicating with Chinese factories via email is an easy task or guarantees the expected results. “Communication is hard and confusing,” he says. “Cup and Paste” is based on some Berlage sketches of a cup and a series of bowls that Van Beek uncovered at the Netherlands Architecture Institute. The sketches were designs for pressed glass objects for the Leerdam Glass Factory, but were never produced. Using Berlage’s mathematical system, Van Beek used the sketches to design a corresponding saucer – the apparent missing link in Berlage’s glass plan. 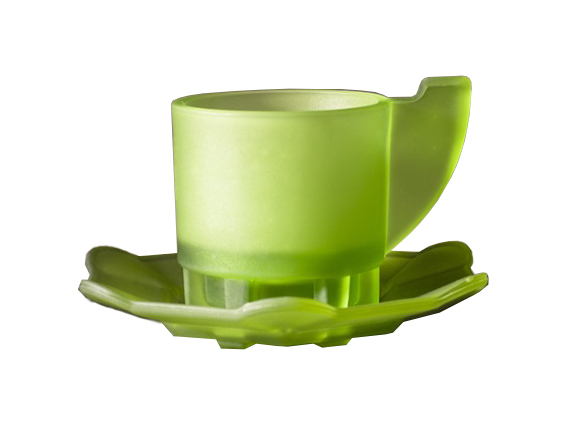 He then borrowed elements from other iconic designs by Copier and De Bazel to paste together a cup. In the final objects, original Leerdam characteristics exist, albeit with an original and contemporary twist.